"The 73 Toll Road is a terrific amenity of Orange County and ubiquitous end to end wireless coverage is important for commuting efficiency and public safety," said CEO, John Clarey. "At 5 Bars Communities we believe that users of the toll road should be able to travel the entire 15 miles of the Toll Road without the threat of dropping a call. We look forward to developing a plan to bring state of the art connectivity to the 73." 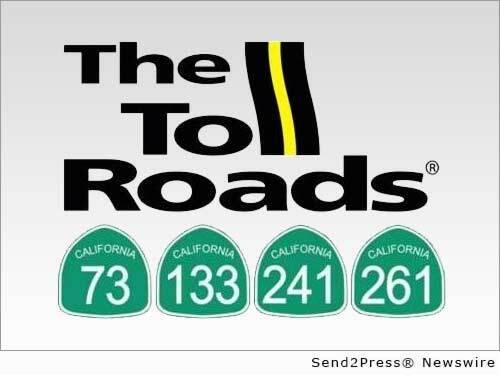 IRVINE, Calif., Oct. 28, 2014 (SEND2PRESS NEWSWIRE) — 5 Bars Communities™ announced today that it has been selected as the chief wireless consultant for the San Joaquin Hills Transportation Corridor Agency’s 73 Toll Road. 5 Bars Communities™ will develop a Wireless Master Plan for the 73 Toll Road. The scope of the project includes benchmarking the existing coverage of the major wireless carriers, gaps in coverage, and the development of a comprehensive plan to ensure continuity of connectivity throughout the 15-mile toll road. The Master Plan is intended to improve cellular coverage for residents, commuters and local residents who use the 73 Toll Road and rely on their cell phones and wireless devices for business, recreation or emergencies. It is anticipated that the plan will include the use of “small cells” as opposed to full-scale macro cell sites. “Our customers are primarily commuters who value time savings. Continual mobile phone usage is important to our drivers and we look forward to exploring how that can be accomplished,” said Lisa Telles, Chief Communications Officer of the Transportation Corridor Agencies. Amid growing demands for high-speed mobile broadband connectivity, the addition of strategically and sensitively placed cell sites on the 73 Toll Road will improve safety and provide added convenience for commuters. The Master Plan will be developed based on projected 2020 wireless usage. State Route 73 is a highway in Southern California, extending from the junction with the Interstate 405 in Irvine through the San Joaquin Hills to its junction with Interstate 5 in San Juan Capistrano. The entirety of the route is located in Orange County. The first three miles of the highway are the Corona del Mar Freeway; the next 12 miles of the 15, are a toll road operated by the San Joaquin Corridor. Its alignment follows an approximately parallel path between the Pacific Coast and the San Diego freeways. SR 73 begins in San Juan Capistrano at an interchange with 1-5. The freeway heads northwest into the city of Laguna Niguel and continues into the city of Aliso Viejo before entering Laguna Beach, where SR 73 intersects SR 133. After leaving the state park, SR 73 straddles the border between Irvine and Newport Beach. Entering Costa Mesa, SR 73 interchanges with SR 55 before merging with I-405 and terminating the route. 5 BARS™ is an Irvine, California based premier neutral host provider that delivers state-of-the-art DAS & Wi-Fi systems for communities, venues, stadiums and properties. Venues that carry the 5 BARS™ certification possess the highest standards of wireless connectivity. 5 Bars Media provides in-venue applications delivered over the Wi-Fi network. Our app enterprise helps venues communicate and engage with guests through their mobile devices. 5 Bars Communities™ provides Municipal Wireless Master Planning and management of network infrastructure including cell tower, outdoor small cells and distributed antenna systems. The 5 Bars team has experience designing and developing over 500 wireless projects nationwide. 5 Bars is requesting information from vendors who provide RF state-of-the-art concealment of small cell technologies, antennas and stealth structures. Please send information about your company and products to Raylene Gonzalez at raylene.gonzalez@5bars.com. For more information about 5 Bars, please visit http://www.5bars.com/. Original Keywords: 5 Bars Communities, Transportation Corridor Agencies 5 Bars Irvine California IRVINE, Calif.
REFERENCES: California Business News, 5 Bars Communities, Transportation Corridor Agencies 5 Bars Irvine California IRVINE, Calif.